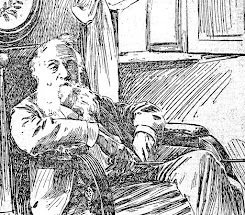 SIR,—Twice a week for three years I sat in Manuel Garcías drawing-room at Cricklewood from 10:30 a. m. till the time of my own lesson, 1.30, and listened to his teaching. May I be considered qualified to reply to your correspondence 'J. M. L.,' on one or two trifling points? He says 'the mouth was only opened sufficiently to admit the tip of one finger between the teeth.' Señor García insisted on the width of two fingers for the proper opening for Ah (all the exercises were sung on Ah). For words, of course, one had to adjust the aperture, but he never told us to make it as narrow as possible. One of his favorite cures for a stiff jaw was to make the student hold a little piece of wood between the teeth while singing exercises (on Ah). 'While you are biting upwards,' he would say, 'you cannot push the jaw downwards.' He would cut a little post for this purpose, with an old knife from a stick of firewood, and it was always quite one and a half inches high. The 'tip' of nobody's finger is that width. To forestall misapprehension I add that he never intended this application to be used much. It was merely to convince students that they could sing without a rigid jaw. They were then expected to reproduce the sensation in their own practice. Again, 'J. 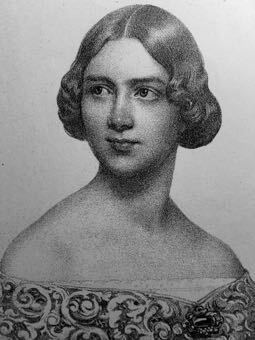 M. L." says 'the lips (were) allowed to retire slightly at the corners when the vowels permitted it.' I never heard the maestro advocate this. On the contrary, I have heard him say: "The quack-quack of the duck is the ugliest sound in nature. A sideways movement of the mouth is a grimace, and brings the tone nearer to the quack-quack. Think of the bull with the deep bass voice. Corners of the mouth forward, lips loose, and the carrying power is doubled.' This I have demonstrated in my own teaching many times. Drawn-back corners of the mouth produce the scrannel-pipe tone so common to-day. As for 'J. M. L.'s' rider 'When the vowels permit.' I would answer, 'The vowels never permit.' Every vowel can and should be sung with forward-pushing, loose lips, and no closing of the teeth. Anyone can try this, and will get a uniformly rich sound, emotional tone instead of a different tone of each vowel which many singers seem unable to avoid. García said very little to us about breathing, beyond 'Chi sa respirare sa cantare,' and never used voiceless breathing exercises. But he considered it of the utmost importance. We were made to practise sustained notes (were we not!) and he kept one at 'Porgi amor' (my first song with him) for six or seven weeks. After that he seemed to think my breathing was all right, though we still had ot begin every lesson with sustained notes. About anatomy, he used to say, 'The singer does not need to know. The birds, what do they know? They sing. That is all.' I am sure he was right. I have had pupils who would have been ruined at once as singers had I talked anatomy to them. But if one would teach, one must study anatomy. I had to go elsewhere for it. 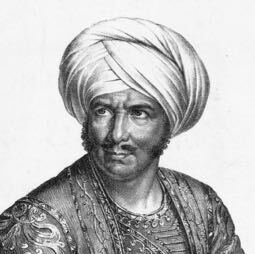 Señor García was fond of telling the Porpora-Caffarelli story, but I always thought he did so with his tongue in his cheek. 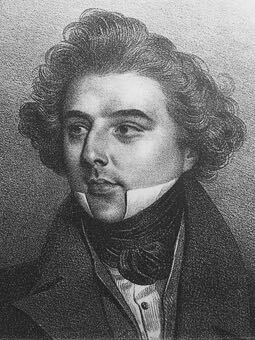 He had a very sly humour, and no one knew better than he how ill-equipped a singer would be to 'conquer the world' who could sing only exercises. 'J. M. L's' ingenious explanation is probably correct and at any rate makes the story credible.—Yours, &c., JEAN HUNTER REES-PEDLAR, Gouroch, Renfrewshire. —The Musical Times, "A pupil of García's on his teaching," April 1937: 358. In practicising to fill the lungs, the singer should stand upright, close the mouth, and inhale very slowly through the nose, whilst at the same time inducing a gradual upward expansion, as though the air descended first to the region of the abdomen and then mounted by degrees to the upper cavities of the chest. The body throughout, although firmly supported, must be in a state of muscular relaxation. During the act of inflation, the stomach must be slightly drawn in, the ribs raised to their full extent, and the front wall of the chest allowed to rise—all without any perceptible elevating movement of the shoulders or collarbone, which are not permitted to move from their normal position or take any active part in the process of expansion. 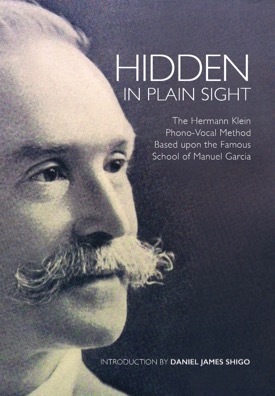 Hidden in Plain Sight: The Hermann Klein Phono-Vocal Method Based upon the Famous School of Manuel Garcia, page 10. A noted pedagogue once told me: "You can't learn to sing from a book!" And while this is widely considered to be true, I didn't let that stop me. And if I had let it stop me, I never would have found Klein's book, a passage of which is included above. What does it take to learn from a book? I believe it involves a high degree of proprioception—that is, the person reading must already have a feeling for singing. The book itself must be written from a procedural point of view. It must give clear, concise instruction in what to do and how to do it. Theory isn't enough. Knowledge about the vocal mechanism is not enough. There must be a doing to do. Klein offers the reader a wonderful bit of doing two paragraphs after the two you see above when he tells the reader to hold the breath for three counts and then writes out—"to be actually counted." If you go through the steps Klein has delineated and then hold your breath for three counts, well, by golly, you will feel something, a something that wants to be repeated. I can tell you what this is in one simple word: Lift. Acquiring it whether the mouth is closed or open is the next order of business. "When asked what her advice usually was to aspiring singers, she told the Associated Press that it boiled down to three words she learned early on and that were her guide. 'You are enough. You are always enough. You don't have to pretend to be anything other than what you are. All you have to do is deeply embrace who you are and you'll be fine. In life, aren't you drawn to the more authentic people? Of course. You're not drawn to phonies.' " LATimes, August 2017. 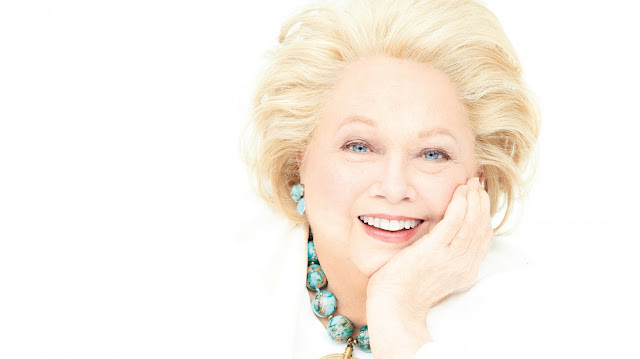 I only heard Barbara Cook live twice, both times at her 80th birthday concerts with the New York Philharmonic. A friend gave us his tickets, and then I bought my own. 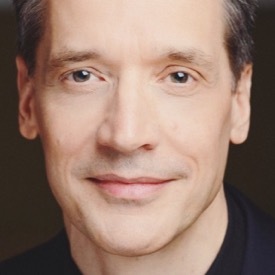 Glorious music making, I knew I was hearing the kind of singing one hears only too rarely today—where the singer risks everything, goes deep and sings from soul to soul. And at the end of the concert, she put the mike down, stepped to the very front of the stage and sang Bernstein's "Some Other Time" from On the Town. I cried tears of joy and applauded till my hands were sore. My advice? Find her on Youtube—the interviews, concerts, everything. Get good and lost for a couple of hours. You will be richly rewarded.